Truly gorgeous walking in wondrous coastal scenery. Fascinating history and a rich legacy of ancient remains and perfect fishing villages in remote coves. Pullulating wildlife and fine and varied vegetation - and good places to stay - make this a very satisfying experience. Sections can be quite demanding, with a lot of ascent and descent. But it is worth the effort - and we aren't talking Himalayas! This lesser-known but marvellous 186-mile trail wanders along and around a magnificent and varied array of cliffs, beaches, woodlands, heaths, moors, valleys and pastures. It passes farms, ancient churches, castles, fishing villages, Georgian resort towns ("Admiral Nelson and Lord and Lady Hamilton stayed here" - the great ménage visited Tenby), iron-age forts and much more. The path can be broadly categorized into a softer "Norman" south and a wilder, "Welsh" north, but that is a bit of an oversimplification: while it is fair to say that the northern half of the Path has wilder country, higher cliffs, greater drama and more demanding walking, the 'gentler' south still contains thrilling walking on beautiful and fascinating coastline, passing exceptional historic sites. The greater concentration of caravan sites, holiday homes and the like does reduce the pleasure of some southern sections. The coast here is rich in marine mammals - grey seals, porpoise and dolphins. Squirrel, deer and bats abound, and you may see an otter, especially around Bosherston lily ponds. Snakes, slow worms, lizards and a multitude of birds are to be met, with the coastal cliffs spotted with breeding gulls in season. Enjoy a huge range of seabirds, including puffins, guillemots and razorbills, and also acrobatic choughs and raptors. Likewise, the path is carpeted with flowers in spring and early summer - the coast is famously well provided this way. The Trailblazer guide has excellent sections (including photos) on the mammals and flowers you should meet. There are numerous hugely historic and atmospheric sites and towns (a city, even) along the way, from St David's magical Norman cathedral, to old Pembroke huddled below its Norman castle, birthplace of King Henry VII, the first Tudor monarch, to the delightful Georgian and Victorian resort of Tenby inside its mediaeval walls. One of the delights of the path is that, unless you plan to do the entire length, you can choose the sections that suit your tastes best. The Trailblazer book is particularly helpful here, with a lot of planning information, including ideas for day and weekend walks, as well as longer expeditions. Unless tackling the entire path (assume two weeks or so at a reasonable pace), you will need to select a stretch to walk. 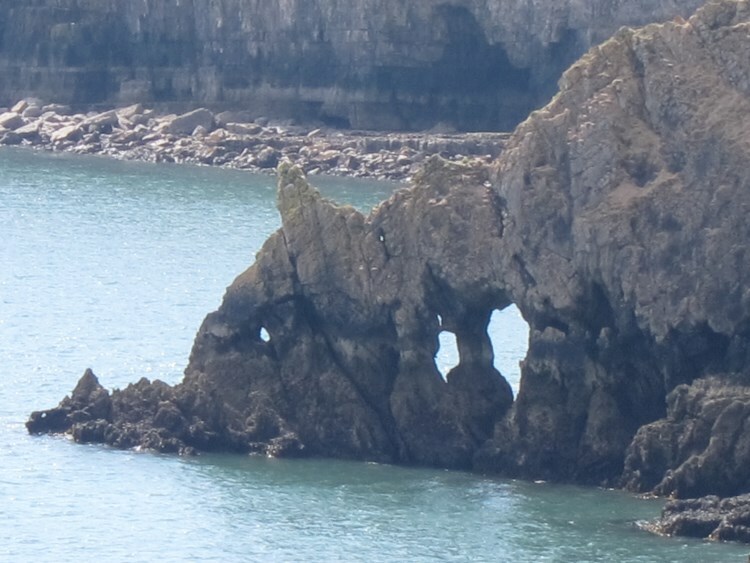 The best sections are more than arguably from St Dogmael's in the far north to St David's, and from Dale out to the wild west of Milford Haven round the great bite of St Bride's Bay to (again) St David's. As we describe below, there are also firms that will take you on selected "best of the path" expeditions. While the path is generally recommended to be walked south to north, this is not mandatory. from Freshwater East past the beautiful Barafundle Bay and Stackpole Head to the otter-haunted lily-ponds at Bosherton. 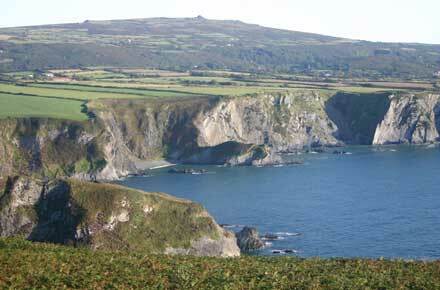 The Dale Peninsula, with scenery ranging from woodland to rough stuff to the huge expanse of Marloes Sounds. 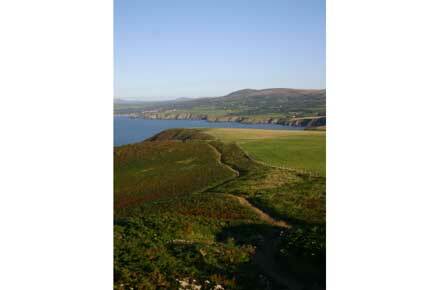 The wild scenery of St David's peninsula is particularly suited to longer (weekend) walks. There are various things to think about taking time out to do while en route, in addition to enjoying the towns and sites on the Path itself. The Preseli hills with their old trails through antiquity-laden landscape, the source of Stonehenge's great slabs, are particularly rewarding. As is a boat excursion out to one of the off-shore islands, to view the seething birdlife and with luck a seal or two. Have a look at TripAdvisor - there are a multitude of relevant reviews, so you may get good, current views on aspects of this walk, although the usual warning to take a pinch of salt applies. Having done many long distance paths between us from Wealdway to Himalayan treks via Tour of Mont Blanc and the Tour of the Vanoise, we can't believe this is one of the favourite long distance paths. Frankly it is boring, the view changes little for days because of the extensive coast scape and the size of the larger bays. 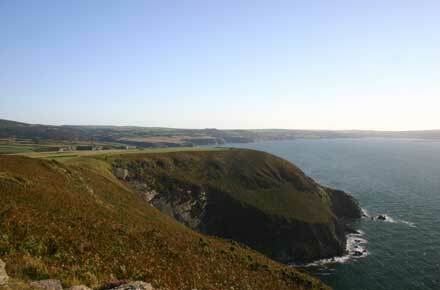 The many different parts of the South West Coast path we have done are infinitely more spectacular, pleasant and interesting. Backpacking was very difficult, hardly any campsites, and we ended up camping in someone's garden, 2 nights illegal camping and 2 nights legal wild camping. However suitable sites for wild camping were in very short supply in some stretches. Supplies were hard to come by. Section round Milford Haven is dreadful, from the South much poorly maintained and waymarked. When we finally gave up after over a week we were amazed to meet no less than 3 other couples/groups on the bus to Fishguard having done exactly the same and with the same comments and views. Don't believe all the positive blurb. Walkopedia says: Thank you for this - views and experiences like this are VERY valuable for the community. Anyone else got any thoughts on this? Pembrokeshire has one of the best coast path walks in the world and I've taken groups to the most spectacular parts on many occasions. If you want to come along next time contact blue ocean adventure on http://www.blueocean-adventure.co.uk/contact/ we'd be happy to organise a walk for you. Walked the northern section of the Pembrokeshire Coastal Path, south to north: Solva - St Davids - Porthgain - Strumble - Fishguard - Newport - Poppit Sands - St Dogmaels. Around 75 miles in total. The coastal scenery is spectacular - world class. Saw lots of seals, seal pups and even dolphins. We walked in the first week of October when there were only a few other people walking the trail. The path becomes increasingly remote and strenuous the further north you go. 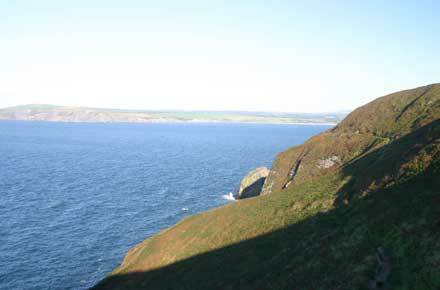 Standout sections were Porthgain- Strumble and Newport-Poppitt Sands. We stayed in a combination of youth hostels (see https://www.yha.org.uk/experience/pembrokeshire-coast-national-park) and guest houses. Bear in mind that the hostels are often isolated and do not serve food, so you will need to bring your own. In October only St Davids and Poppitt Sands youth hostels remained open and the local buses were on a restricted timetable. So for ease of accommodation and transport we'd recommend walking the route before the end of September. Don't underestimate the physical challenge of this walk: a day on the more strenuous sections are comparable to a day in the mountains. There are steep uphill and downhill sections and we were very glad of our walking poles. Walko say, THANK YOU for these very helpful comments!